It's the Ellen Hutson LLC 12 Tags of Christmas time! I love this event! 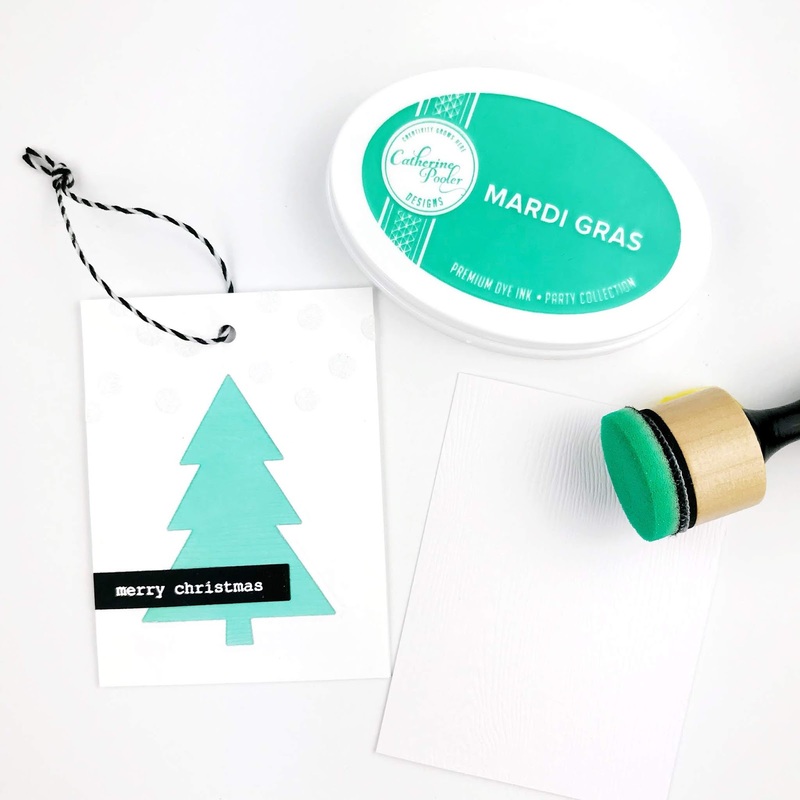 Not only is it so fun to make holiday tags but it is so fun to see what everyone else makes! Today my talented buddy Laurel Beard and I are both creating with The Stamp Market stamps & dies and our theme is woodgrain! 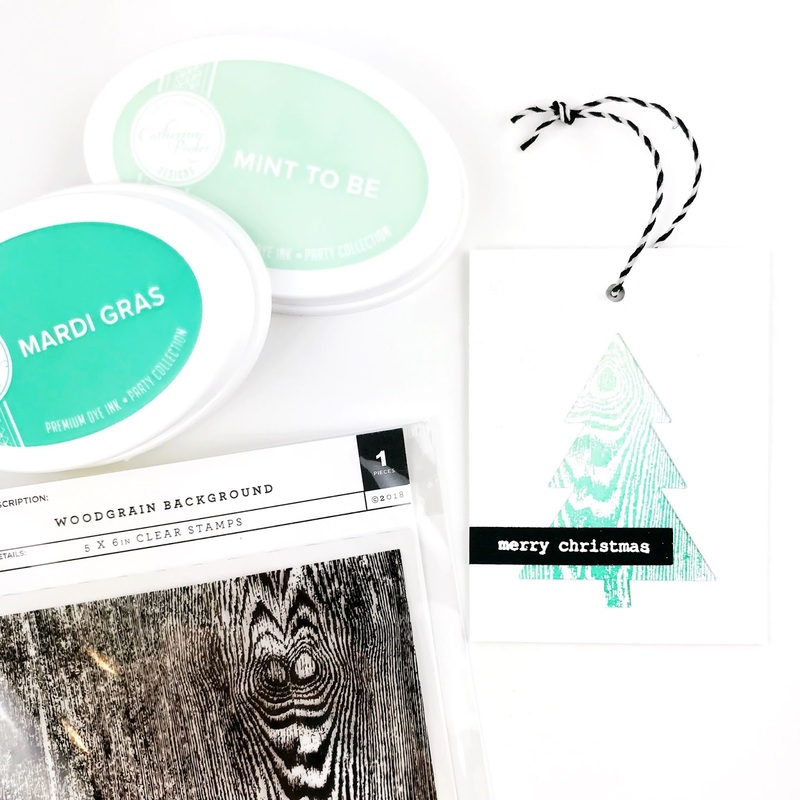 This was a challenge for both of us because we lean towards glitter, and you will see that none of our woodgrain tags escaped without a little sparkle. LOL! 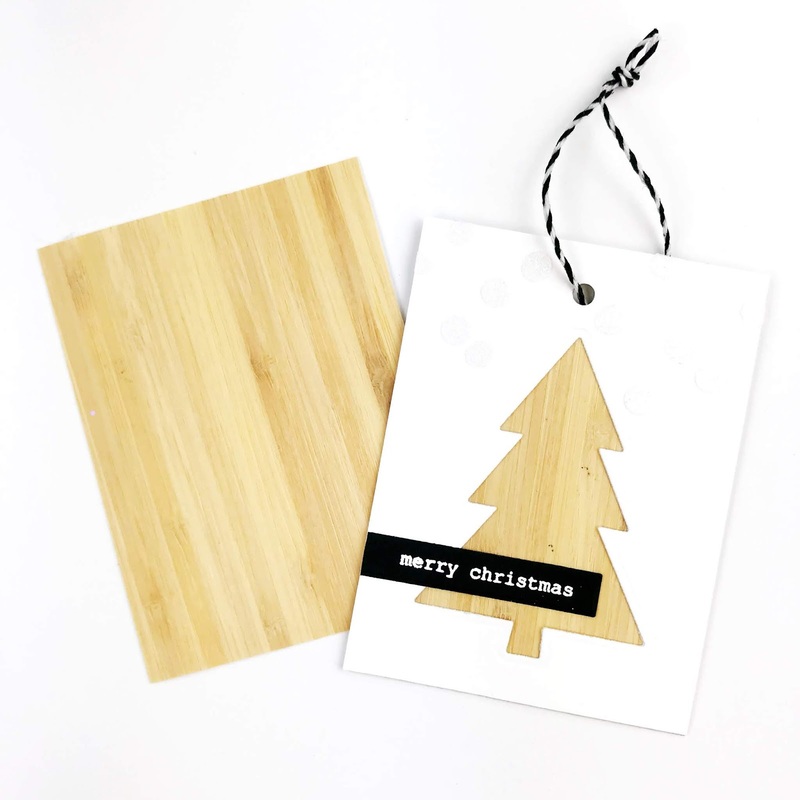 For my tags, I went with a minimalist design and tested 3 ways to add the woodgrain effect. First I tested the EBE Woodgrain Cardstock. It has a really pretty woodgrain pattern and comes in white (as well as tan), so it can be inked. I'm sure no one is surprised I made it a minty green. The only downside, a little hard to see the grain in photos. These are self-adhesive sheets of real wood "paper". I love the clean look it creates on the tag! Just an FYI, it die cuts beautifully but is super hard to stamp on, I haven't found a black ink that doesn't bleed a little. I love this stamp! It looks so pretty heat embossed in white, especially on kraft cardstock. For this tag, I embossed in white on white and then did a little ink blending on top. It might be my favorite! 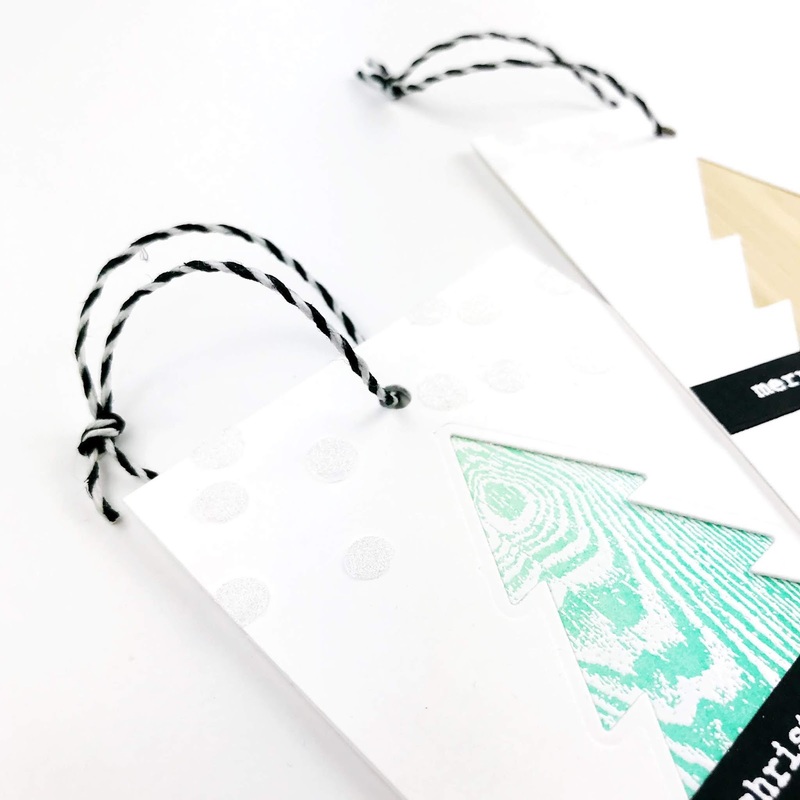 All the tags feature a little "merry christmas" sentiment heat embossed in white on black cardstock. And because it seems I can't create without glitter...they all feature glittered polka dots made with Glue Dots. Thanks so much for stopping by! hugs! Ok first your tags are absolutely fabulous. As a CAS girl I love them and then The Stamp Market. Ahhhhh. Very cute, yet simple tags. Lovin the woodgrain. TFS--Have a blessed day. These tags are so cute! The woodgrain stamp is so realistic. Thanks for the tip about the glue dots - I never thought to add glitter to them! Simple and sweet! I love the CAS look! The simplicity of these make them so striking. I love the one w/ the wood paper! Love the simplicity and beauty of your tags. Thanks for sharing. Love all the different looks you created with the same stamp sets. I am particularly fond of the woodgrain embossed one! love that tree die and how you've used it - wonderful woodgrain paper! I love the simplicity of these. Very elegant! Love the wood grain look to the trees. Simple and elegant tags! Thanks for the ideas! Thanks for sharing these three options for creating a woodgrain effect. Your CAS tags are just lovely. These trees are so adorable! They look so pretty as a set, and each one is gorgeous on its own! I love the woodgrain look, thank you for explaining the ones you used (as soon as I finish this I'm off to shop lol). I'm with you, everything needs at least a little glitter especially Christmas/Holiday projects (they just feel naked without some hehe). Thanks for sharing your awesome tags & tips and for the inspiration! Love, love, love what you created! I absolutely LOVE these adorable tree tags! I really like how you die cut the top layer with the tree and added the colored pieces behind it. Thanks for the awesome inspiration! What a cute set of tags! I love each of your ideas for the woodgrain! 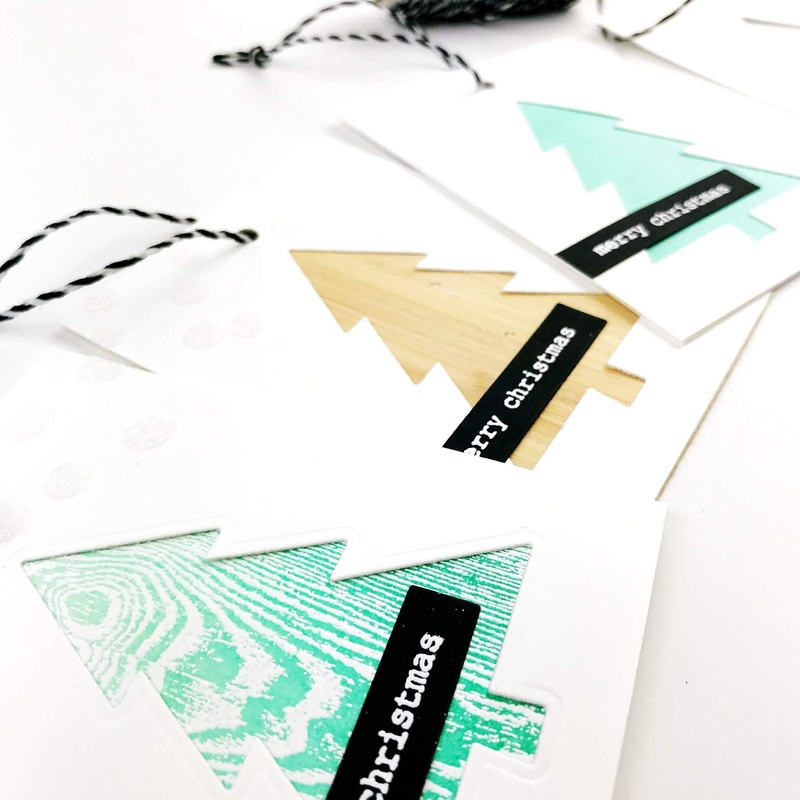 The tree shape is adorable, and I especially love the woodgrain stamp! So cute...makes me want to make tags!!! I am way behind in "Christmas" and I need to make a lot of tags. These are perfect. My favorite is the inked one-I could whip a bunch of those in no time. Thank you for the wonderful inspiration! I love these cute tags, WOW!!!!! Woodgrain + The Stamp Market images + your incredible creativity = swoon! 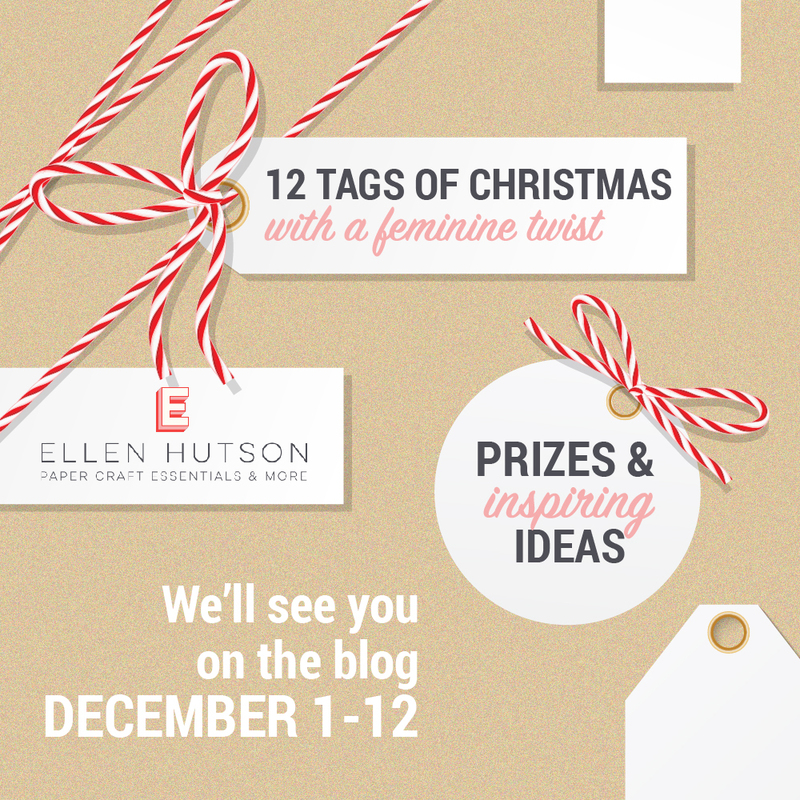 Your tags have sent my Christmas spirit soaring! That die cut tree cut from the specialty Woodgrain cardstock is amazing!!! Oh I just love how beautiful, clean, and simple these cute tags are!! You are so inspiring! Fun wood grain tags Carly I like the imposter one that you inked mint over as the favorite too! SQUEAL!! LOVING the AMAZING Inspiration!! THANKS for sharing and have a FABULOUS WEEK!! So cute! I love the different looking textures on the trees. Simple, but so pretty. The minimalist look looks good on you. These are darling! I like the simple design and the wood grain. I just love the simplicity of your tags - they're perfection! 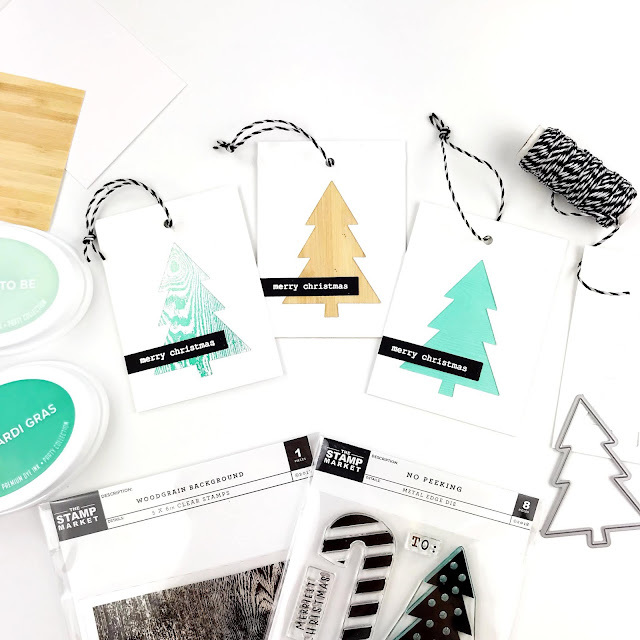 i love these tags, especially the mint green!